Once the HR receives notification about a post. He/she follows certain steps of hiring an employee. This is a fundamental step of hiring process. Every company has certain checklist for hiring employees, follow the protocol and start your recruitment process. Make sure that the right candidate grabs the right opportunity. Select a candidate who best fits in the organization. 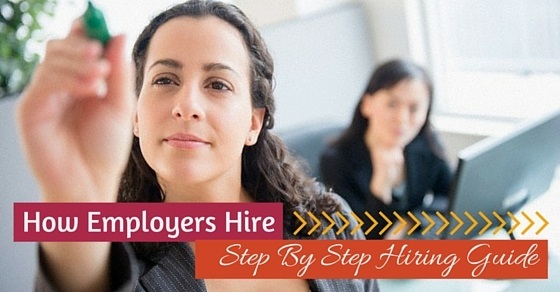 There is certain level of hiring process which should be followed by all the employers and the company. These are some of the steps to follow while selecting a perfect candidate for the position or for hiring an employee. When there is a vacancy, know the job description, required qualifications to fit the position, how much budget provided for that position and details like area of work, level of position they have to hire, experience required, know the legal requirements like the candidate is eligible to work in the country etc. To start an employment process, the employer needs to start searching for candidates and try to schedule a proper interview method. Try to know by what period the vacancy is to be filled or replaced, by what dates, interview process is to be completed and candidates to be appointed for the position. These kind of information will help an employee or a candidate to start or end an employment process as soon as possible. By knowing the timeline for the recruitment process, a candidate will acquire certain time to gain knowledge about these offered job profiles which will automatically create an employment environment. Organize things like managers who need to conduct the interview, and inform the dates to engage them in interview, also make a presentation about company to visualize the candidates. These kind of segmentation of candidate profiles or their abilities will make recruitment selection easier for the company. By planning the recruitment and selection strategies, a candidate creates building an environment where he/she can plan his/her steps that can create an impression on the employer or the interviewer. Firstly notify the candidates about the post details, education details, summary about the nature of work, work location, experience, age limit, pay scale, interview venue and other details by advertising the job through social media or newspaper or career websites or company website. Make sure an employer is providing right information so that right candidates attend the interview selection process. And it also makes sure that only relevant candidates will start applying for that particular job that is done through these kind of detailed job description. It will also include all the details about job profiles and their requirement for that particular position. This is a stage where a candidate looks into all the duties and responsibilities of the position. While interviewing process an employer tries to bring out all the skills and abilities of the candidate which can benefit that particular position and the company. Here are some of the ways where an employer tries to examine a candidate by some kind of group discussions or role plays. And at the end, the employer receives a confirmation that the candidate is best suitable for that particular position of the company. A candidate receives a job application screen by their qualifications and experiences. Notify the candidates who are eligible to attend an interview. Provide information about what documents they need to carry along with, when they attend an interview. The process of screening will be considered as an initial level where all the documents and their skills will be rectified through their certificates and other to make sure that the candidate applying for the job is well suited for the position that the company is offering. Ask those candidates to introduce himself/herself in one minute. Arrange the interviews with the respected department of manager. Note down how much they scored in each round and shortlist candidates for the position. An interview is a process where a candidate goes through a panel of judges who try to analyze that particular candidate so that they can rectify that skill or ability which they need in them at the time of future dealings as per the job description. This process or level will come to a conclusion where an applied candidate deserves to keep that particular job offer without any issues. Medical fitness is an optional element that is expected to be cleared for some kind of job profiles. There are some kind job offering, which prefers a medical condition of the candidate to be healthy for the purpose of job profile. Normally the job which requires medical fitness will be civil services and others. There are some of the industries which also prefer to select those candidates who are medically fit to maintain the hygiene of the product they produce. This is the final process when a company decides to select such candidate which will be favorable to that company without any kind of risk or loss. They believe in selecting and find employees who will prove to be an actual asset of the company. This can be considered as a final stage of recruitment and selection process from the employer’s side, but not the end of the process. Therefore, this stage is considered as a most crucial stage of hiring procedure because if a candidate makes one single mistake during this stage then there is a possibility that the candidate may lose the job which has been offered to him / her a few minutes before. Finalizing a candidate is a process where a company offers a candidate a letter of confirmation stating that he / she can join the company at the earliest, but the end decision would be of a candidate whether she / he is agreeing all the terms and conditions of the company which has been stated in the offer letter and willing to join that company. And at the end when a candidate decides to be a part of that company, he need to confirm his acceptance by signing all the legal paper which concerns the company. To end this discussion, we would suggest all the employers that the jobs hiring process can be beneficial if an employer tries to search such a candidate who can be a perfect match for that particular job and avoid high costs of wrong hiring decision. Most of the time an employer who is recruiting a candidate for the position makes a mistake with his/her judgement. And it is best if an employer selects a candidate with prior experience in that related field of work or profile. Therefore, to make things better an employer can follow all the above-mentioned steps to get a clear picture about the candidate who is supposed to be a part of the company with the confirmation of all the relevant department of recruitment.